Herman Gray takes a sweeping look at black popular culture over the past decade to explore culture's role in the push for black political power and social recognition. In a series of linked essays, he finds that black artists, scholars, musicians, and others have been instrumental in reconfiguring social and cultural life in the United States and he provocatively asks how black culture can now move beyond a preoccupation with inclusion and representation. Gray considers how Wynton Marsalis and his creation of a jazz canon at Lincoln Center acted to establish cultural visibility and legitimacy for jazz. 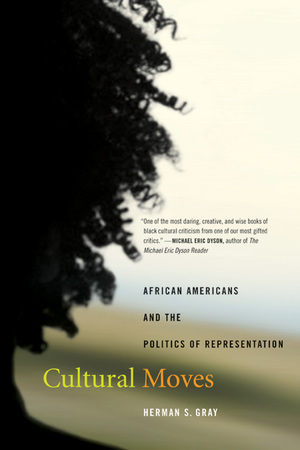 Other essays address such topics as the work of the controversial artist Kara Walker; the relentless struggles for representation on network television when those networks are no longer the primary site of black or any other identity; and how black musicians such as Steve Coleman and George Lewis are using new technology to shape and extend black musical traditions and cultural identities. Herman S. Gray is Professor of Sociology at the University of California, Santa Cruz, and author of Watching Race: Television and the Struggle for Blackness (1995) and Producing Jazz: Theresa Records, Case Study of Jazz Independent (1988). 4. Where Have All the Black Shows Gone? 8. Is (Cyber) Space the Place?